The way to make your business a success today is by reaching out to your customers with a user-friendly app that is compatible with all Android phones. It is worthwhile to invest in the services of an Android mobile app developer who is genuinely interested in your business, check their portfolio, has proper references, is trustworthy and is value for money. How Can Businesses Gain from Android Apps? Convenience and flexibility are the prime reasons for the popularity of Android Apps among developers. Since the software development kit of Android is an open-source platform where the source code can be modified by developers, it offers a lot of flexibility. This makes the development of Android Apps economical. There are three stages of creating an app, namely - development, testing, and deployment. Getting the final digital output is easy for the developers, and you get an interactive app which can be used globally. Given its market penetration, Android Apps are suitable for the BYOD or bring your device implementation. Since the enterprise apps based on Android are device neutral, it is easier to install them and create a broader in-house communication network. 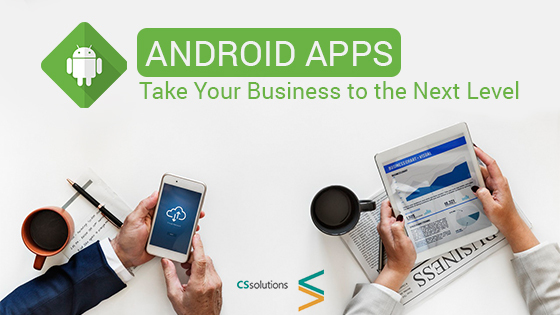 With the help of Android App developers, you can customize the enterprise app to your requirements such as updating or integrating various tools or functions relating to data management. Being a robust operating system, any modification irrespective of the degree of complexity can be done with ease. With upgraded security features like Lollipop, malicious malware are prevented from reaching the data structure which controls the access as well as the modification of data. Given the wide reach of the platform, it becomes easier to market your Android app. Safety notifications are constantly sent to keep users updated. Smartwatches also come under the bring your device umbrella and are now acceptable in the corporate world. These are managed by Android apps as well and hence are effective devices for communication. They can be integrated into your system with the help of enterprise based apps. With a customized Android app, it is possible to provide all the features and apps that are available on Google to the users of your app. Whenever any new service or app is introduced by Google, the Android App automatically updates it on your phone. You must be ahead of the competition when it comes to launching an app. The speed at which the app is developed and the ease of integrating the features determine the success of the product. This advantage can be secured with the help of Android app developers, who can make the necessary modifications to changes in user requirements. Modern technology like augmented reality and virtual reality help in creating innovative, sophisticated solutions to cater to the needs of a niche segment. This is possible due to the worldwide presence of the Android platform. The Android platform is not static. It is a dynamic platform that keeps evolving according to the changes made by Android smartphone manufacturers. So, whenever the manufacturer adds new features to the smartphone, the developers proactively ensure that the apps follow suit. A custom Android ROM relates to the permanent software that is programmed in the read-only memory of your smartphone based on the Android platform of Google. Developers can modify it according to the requirement of your business since Android is an open source platform and the code can be edited, re-compiled or re-released. With these changes, you can scale up your business effectively. There is no charge in acquiring these Android ROMs which makes them economical. For best results, you need to invest in the right app developer. CS Solutions, a company specializing in iOS app development in Miami, have been into the mobile app development business for years. They have the required expertise and are a premier app development company in Miami.